Some Nokia 6.1 Plus users have reported that they are facing an issue regarding the charging port of the smartphone. The affected users have said that the charging has been slowing down using the port and it has also been informed that their fingerprint sensors are working slowly. The smartphone was launched back in August 2018 in India by HMD Global. Nokia 6.1 Plus is the global version of the Nokia X6 and comes with a 3,060mAh Li-ion battery. The device is also offered with the quick charging facility and a USB Type-C port that could help the smartphone to connect OTG and charging cable. Users, who are facing the charging port issue, have submitted their device at Nokia Care. As the parts are not available currently and need to be ordered, the problem would take some time to be solved. Soon after the issue was reported, users of the Nokia 5.1 Plus also started reporting a similar issue with their smartphone’s USB Type-C port. A users posted on the Nokia phones Community, “Anyone facing this loose charging port problem? Like me? 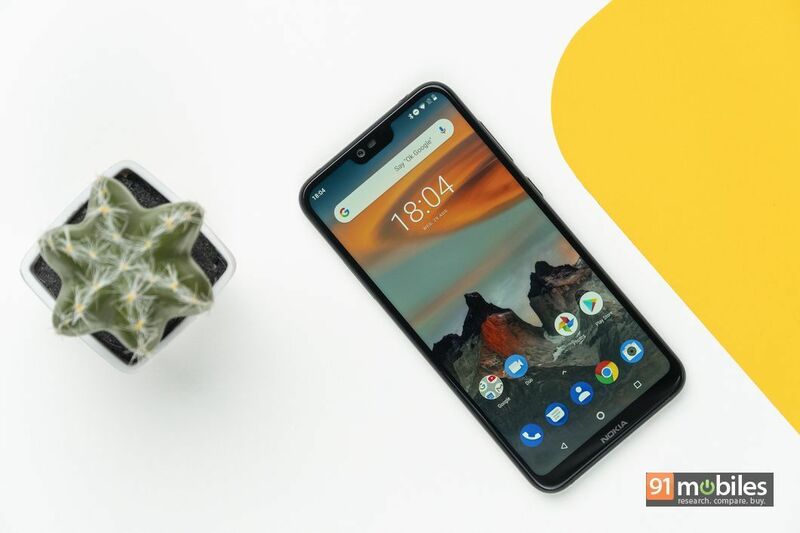 Nokia 6.1 Plus flaunts a 5.8-inch IPS LCD bezel-less display having an FHD+ resolution and comes with an aspect ratio of 19:9 along with a notch at the top. In terms of optics, the device sports a 16MP rear lens with RGB sensor, which is paired with a 5MP secondary lens with a monochrome sensor and AI portrait. At the front, there is a 16MP frontal lens, which comes with AI selfie mode. Under the hood, the Nokia 6.1 Plus is based on the Qualcomm Snapdragon 636 chipset. It packs an octa-core processor having the clock speed of 1.8GHz. The processor is accompanied by a 4GB RAM that helps it to perform better.